Cape Town has no shortage of great accommodation options. Take your pick from hotels, budget bed-and breakfasts to brilliant backpacking havens. Whether you’re a business traveler or traipsing through the city for pleasure, the variety of places to lay your head are limited only by your preferences and wallet. Almost every local hotel offers airport transfers in Cape Town via their own or other private taxis from the plane to your place of stay. Arrange your airport transfers in Cape Town independently or via the hotel. 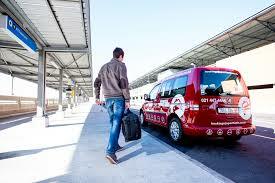 Many hotels offer airport transfers in Cape Town at a nominal extra charge. Transport from Cape Town airport to your venue or place of stay should be privately booked. Do not rely on a public service as unlike OR Tambo international in Johannesburg, there is no direct public train, metro or bus service that will link you directly to where you need to be. The recommended transport from Cape Town airport is via airport shuttle, hotel-operated or independently arranged transfer, taxi or vehicle. 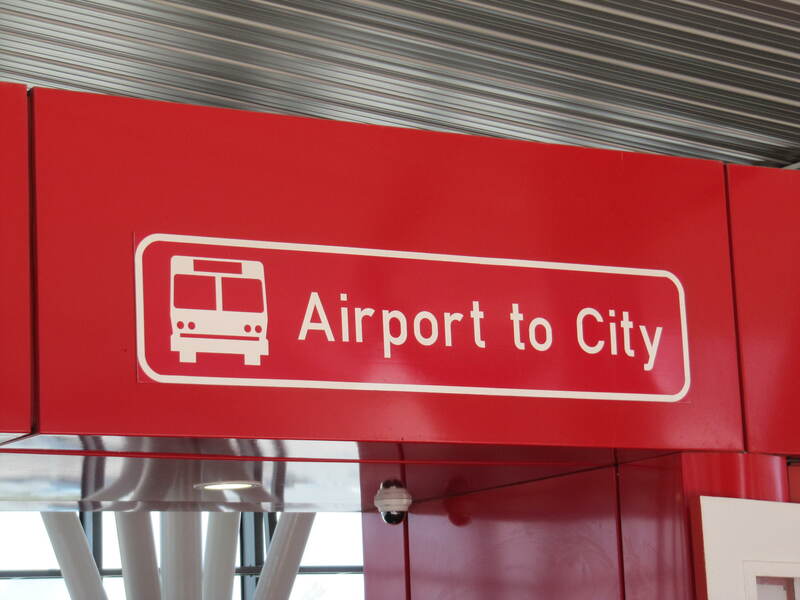 Many of the internationally known vehicle hire companies have offices at the airport. Book your transport from Cape Town airport online, via the information kiosk, through your hotel or physically as you land, by heading to the taxi waiting area or pick-up-and-go areas at the exits. A typical taxi ride from Cape Town International airport to the city centre along the N2, takes about 25 minutes in off-peak traffic, and the time to the other major hub, the V&A Waterfront, is about 35 minutes. The following hotels are all centrally located in the Mother City and offer a transfer from Cape Town airport to the hotel. 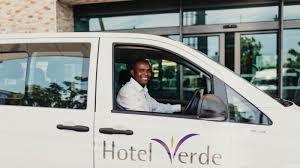 There is no standard rate for what each hotel will charge for a transfer from Cape Town airport to the hotel, so you’ll need to liaise with them online or via your agent to book your airport transfers in Cape Town. The Table Bay Hotel is centrally located at the V&A Waterfront, the premier shopping and entertainment district in Cape Town. You’ll always be within walking distance of a place to dine should you leave the hotel, since the V&A waterfront has a vast number of eateries ranging from fine dining to fast casual, café style outlets and supermarkets with deli sections, bakeries and ready-made meals. Majestic sea views, superb service, and large, airy rooms await guests. The hotel has been placed firmly on the map thanks to the many A-list faces that have frequented its rooms, including former US president, Barack Obama and his wife, Michelle. It is also a popular choice amongst honeymooners. The hotel is luxurious and on the upper end of the budget scale, but well worth it should your wallet allow. A complimentary shuttle to Table Mountain is available every day. You won’t have any problems arranging airport transfers in Cape Town to the hotel via the Table Bay itself or on your own. As the hotel is in high demand, do make sure to book your stay well before the time. The enormously popular Radisson Blue enjoys extremely favourable ratings from locals and tourists alike. Locals love to pop in for their famed buffets or to lounge on the deck with a cigar, sipping sundowners and enjoying spectacular sunsets. The hotel is located within walking distance of both the V&A Waterfront and Green Point Stadium. The stadiums is the perfect place to go for a stroll in the sunshine, on biodiversity tours of the local flora and fauna or to enjoy a private picnic. Enjoy the hourly free shuttle to the V&A Waterfront should you not be inclined to walk. These two Mother City landmarks alone could easily keep you occupied for a few full days. Airport transfers in Cape Town to the hotel would be quick and easy to arrange – it is a straight route and a very well-known holiday accommodation spot. The hotel has an on-site spa, heated pool, fitness centre, hair salon, Salt Room, bar, business centre, 24-hour concierge service and just about every convenience money can buy. This luxurious but home-away-from-home stay isn’t for those on a tight budget though, all though there are affordable specials from time to time. If you’re looking for something thematically daring and fun, you’ll join the legions of fans the Fire and Ice! Protea Hotel has amassed. It is a mid-budget, high value hotel that is more than comfortable and style-forward. The hotel is often cited as having some of the best gourmet burger, milkshake and cocktail creations the Mother City has to offer and the venue itself has become something of an institution. It is conveniently located very near to the Convention Centre and a stone’s throw away from Cape Town’s famed Long Street, the trendy nightlife and hangout hub. Luxury linen touches, an outdoor swimming pool, and a funky aesthetic full of surprises are guaranteed to make your stay a memorable one. 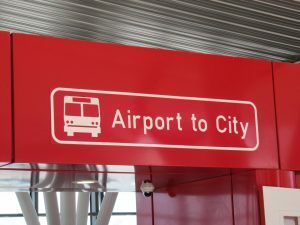 Airport transfers in Cape Town from the airport are available, as are reasonably priced hourly shuttles to and from many must-see nearby attractions. If you want unbeatable value on a smaller budget, Cape Town Lodge is a logical choice. 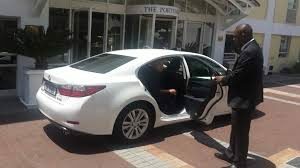 It is often cited as having one of the most reasonably priced services covering airport transfers in Cape Town, and is particularly suited to those who may not be staying for long in the Mother City. One of the attractions is the central location of the hotel – superb for sightseeing and getting to know the city during the day, and enjoying the nightlife after sunset. Most rooms come with a kitchenette, but do confirm that utensils have been provided ahead of time. An in-house steakhouse is a must-try for steak lovers, and the hearty breakfast is more than most bargain for. If you’re on one of the upper floors you’ll have a bull’s-eye view of Table Mountain. A plus for tourists is that the hop-on, hop-off Cape Town red-top tourist bus passes the hotel. The Red Tour bus is arguably the best way to see the Mother City.